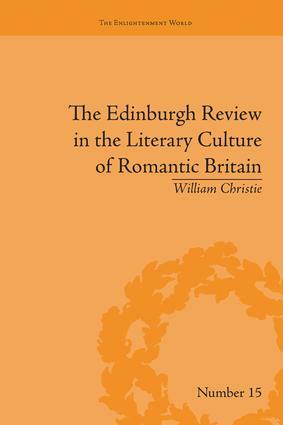 From its first issue, published on the 10th October 1802, Francis Jeffrey's "Edinburgh Review" established a strong reputation and exerted a powerful influence. This is a literary study of the "Edinburgh Review" for over fifty years. It contextualizes the periodical within the culture wars of the Romantic era.